New Delhi: Congress Vice President Rahul Gandhi has alleged that he has details about “personal corruption” by Prime Minister Narendra Modi. The Congress leader was addressing media-persons, along with leaders of several Opposition parties in the Parliament premises after the Lok Sabha was adjourned for today. This sensational allegation comes close on the heels of Rahul claiming that there would be an”earthquake” if he is allowed to speak on demonetisation in the House. Parliamentary Affairs Minister Ananth Kumar was quick in trashing the Congress leader’s charge. 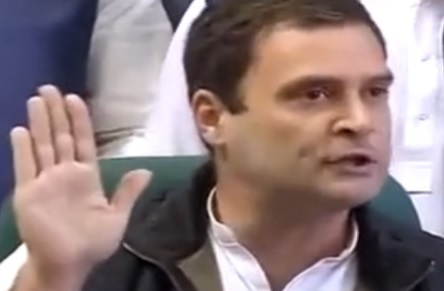 He asked Rahul to apologise describing the allegation against the Prime Minister as “baseless”. Such hurling of allegations by the top Congress party leader is unacceptable.